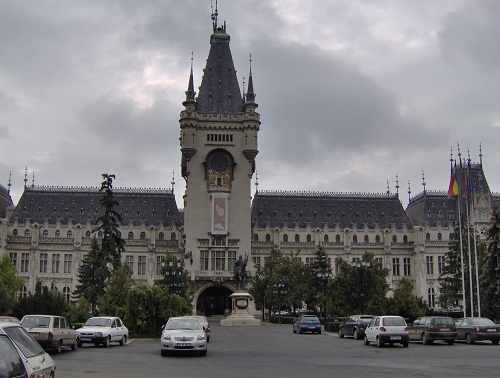 “Iasi is more than a former illustrious capital of Moldavia, within its walls art and national historical treasures dwell, such abundant treasures that no other city in today’s Romania possesses,“ wrote historian Nicolae Iorga. For most cultures known as Iassy, the main urban center in Nord-Eastern Romania, a former capital of Moldavia and later of Romania, this is today’s third largest city in Romania and the second largest university and cultural center. There are different theories concerning the origin of the city's name. Some say that the name comes from the Sarmantian tribe “Iazyges”, others talk about the form “Yash”, meaning „fame” in Sanskrite and Hindi, having actually a common origin with the Sarmantian language. The translation of the Hungarian given name: „Jászvásár” means „The Iassy Market” as it has been an important trade knot in the region known as „Targul Iesilor”. Iasi, the Romanian Rome, for it has spread like the Italian capital on seven hillocks, is an oasis of history and culture. One can reach this beautiful, timeless city by train, car or even faster by plane, as the international airport has direct flights to most of the Romanian cities and also to international ones like Budapest or Vienna. Once you have reached the city, there are plenty of good hotel accommodation options. Hotel Moldova or Europa are closer to the airport, close to the three big shopping centers – Iulius, Moldova and Hala Centrala. The main industries to be found in the city are metallurgy, represented by companies like Arcelor Mittal Tubular Products, SC Tehno Steel, pharmaceutical -SC Antibiotice SA, textiles - SC IasiConf, SC Iasitex SA and food industry. The informational and financial sectors - banks and software companies have also found here a region of growth in the last years. The city hosts several commercial centers like Billa, Carrefour Felicia, Metro, Selgros, Kaufland, Praktiker, Baumax, Dedeman, Arabesque, Mobexpert. Currently, Iasi is going through major changes as some city projects are still being developed: Palas shopping center, Maximall, Green Plaza Iasi. 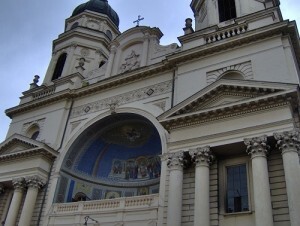 As for sightseeing, the city hosts plenty of cultural areas. The Palace of Culture was built under the close supervision of Ion D. Berindei under the neo-gothical style, on what once used to be the Royal Court between 1871 and 1928. Its style and dimensions turned it into the symbol of the city (main picture). In front of it, there is the the Dosoftei House, standing as one of the city’s oldest buildings. Even though no documents certify its age, it is known that between 1671 and 1868 it was a printing house founded by Dosoftei himself. Today it is a museum, guarded by the statue of its founder, housing old Romanian literary printings. The Church of Sfantul Nicolae Domnesc is the neighbour of these two important constructions and together they make the perfect Romanian trinity of history, culture and faith. We move forward on Stefan cel Mare (Stephan the Great) street, where we can find the Town Hall and the famous National Theatre. The National Theatre is the oldest in Romania, currently under renovation and which was designed by Fellner and Hellmer, the two Viennese architects who also designed the theatres in Odesa and the Scala in Milan. On the other side of the street rests the Moldavian Jewellery- the Iasi Cathedral, which hosts the relics of Saint Parascheva, the protector of Moldavia, who was brought here by the Moldavian ruler Vasile Lupu in 1641. Many visit her relics, seeking hope and forgiveness. Another interesting characteristic of this area is that during weekends, this is a pedestrian only street. You'll soon reach the Unirii Square where you'll find three hotels: Astoria, Traian and Unirea. On the 13th floor of the Hotel Unirea you'll find a restaurant which offers, besides food, a breathtaking view of the entire city. On a parallel street rests the famous University of Medicine “Gr.T.Popa”, where many foreign students come to study. Further on the street there's the Spiridon Hospital, with the Statue of Independence in front. Going further to the Center you'll see the Student’s Cultural House, a hall where different events and concerts are held. Two good bars are located on its right and left: Belfast and Dublin, frequently filled with students. One of the streets takes you to the beautiful, green areas of the city. The street starts with the statue of poet Mihai Eminescu. A mass of students usually moves up and down this street from the Central University Library to the University. The National Library was finished in 1835 and hosts 2.3 million books, over 24,000 magazines and newspapers. The University of “Alexandru Ioan Cuza” is the oldest university in Romania. Further you'll find the Copou Garden. Here's you'll see statues of famous Romanian writers, as well as another famous sight - Mihai Eminescu’s Linden Tree, where he found his inspiration and wrote his famous poems. You can take the tram to get to the Botanical Garden. There is a special old fashion tram which carries tourists throughout the town. Because of the intense city traffic, it runs only during weekends. Pass by the Football Stadion and the Church of Saint Nicholas and reach the Agronomiei Round. The Botanical Garden, Romania’s first Botanical Garden hosts flower exhibitions every season. Its Greenhouse hosts some of the most exotic plants. The garden itself is home to different type of plants, from the most common ones to the rarest species. The garden also has a big lake near a forest and a smaller lake near the roses alley. Back on the same road that brought you here, you can see The Pogor House. It was made in 1855 in a neo-classic style that can be found at the noble’s houses of the 19th century. This was the building where journalists and writers of the Junimea Society met, read their work and shared opinions. Iasi is a city with a long history and needs to be visited with patience, walking slowly. Other sights you might want to discover in Iasi are the Unirii Museum, a construction with Poseidons holding its roof, “Bojdeuca lui Ion Creanga” - Creanga’s Memorial House, Eternitatea Cemetery – timeless as the name itself says, the Opera House, the Tatarasi Atheneum, the Moldova State Philharmonic. 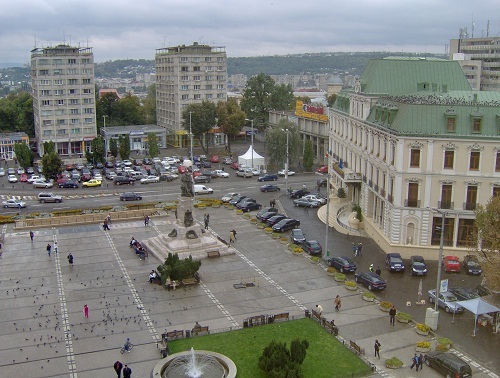 Iasi has been always known as a city with an intense cultural activity. A lot of famous names in the Romanian literary history have walked on these streets. Near the National Library you can take the stairs to “Rapa Galbena” to reach the train station, which was recently renovated. Waiting for the train which might get you to the next city which Romanian-Insider.com will soon write about, you can think about famous writers like Eminescu, Creanga, Palade, Racovita, Caragiale, Asachi, Alecsandri, Negruzzi, Petru Poni.